Al Hadi Hotel is a roadside restaurant on GT Road Taxila. 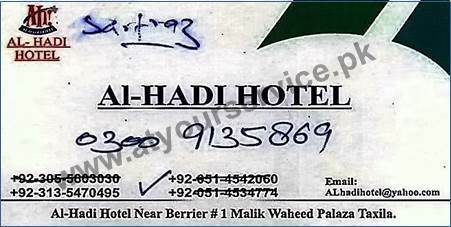 Al Hadi Hotel is located in Malik Waheed Plaza, GT Road, Taxila. It is a roadside hotel on GT Road Taxila.